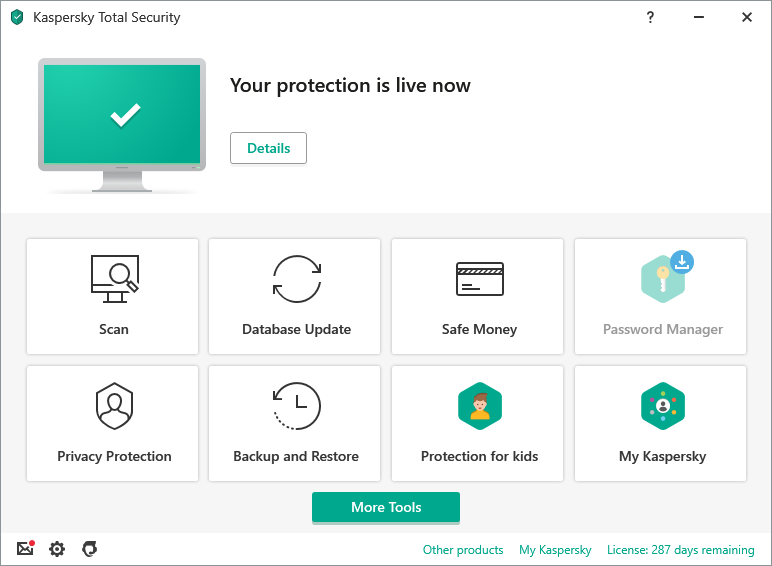 Kaspersky has released a limited time coupon code for 50% off Total Security. Total Security is Kaspersky Lab’s top tool for malware and security protection. Along with protecting your privacy and data, it silenty monitors to boost your security whether its for online shopping or banking. It comes bundled with their Password manager and Parental Control to safeguard your kids’ browsing. So how do you get 50% off? On this Total Security page, add it your cart by clicking “Buy Now” and when checking out enter coupon code EARLYBIRD50 Remember, this coupon only runs for this WEEK and has a limited number of uses so make sure you enter it for it to apply to your purchase and receive 50% off MSRP. It applies to both renewals as well as new purchases. FireFox makes it very easy to both check and clear your FireFox memory. 4. This will immediately clear the unused memory and make your instance noticably smoother. If you want to reduce memory usage further, you can click on “Minimize memory usage” within the same panel. That’s it! A quick and simple way to clean up RAM thanks to FireFox’s hidden options. If you encounter RAM issues more often than you care to deal with, considering upgrading your RAM with some compatible high speed options. Every order for a rock-solid OtterBox case today receives a FREE Ollie Doll. OtterBox started out of a garage but is now the #1 selling phone case in the US. They’ve just sent us an exclusive offer for today only so you can get more than just their outstanding cases: Receive A FREE Ollie Doll with every order. You can also add coupon OTTER10 to save 10% site-wide — including on already reduced products. Want to ditch your expensive phone plan and get free cell phone service in the USA for life? It’s easier than you think. A company called FreedomPop is offering FREE mobile service AND data that includes 500 texts, 200 minutes, and 500MB each month. I’ve been using the free cell plan for the last 3 months and can’t say enough about it. They use the wide networks of partner carriers like AT&T and T-Mobile to give you ccoverage in the majority of the USA. So the best part is you’re not with some wonky carrier that with let you down just when you need the service the most. Instead, you’re piggybacking the network of the big boys. Take a look at all the details on their website here. Data has shown people who ditch their expensive smartphone plans save nearly $1,500 annually. If the above plan isn’t enough for you, such as if you need more data or minutes, you can add that for a fraction of the cost of the other carriers. For example, their $19.99 unlimited talk, text, and 1 GB data plan. How Can They Offer Free Cell Service? As I mentioned above, along with the free basic plan, they also offer full service premium options. That’s how they’re able to keep the service going. We all know cell service really costs pennies on the dollar of what the giant carriers charge you. FreedomPop just makes sure you pay nothing for basic usage. There’s no contracts and its a completely free monthly service. They give you a free trial of their premium services in the first month for even more data and minutes but you can downgrade that on the website or giving them a toll free call at any time. And how can you not take FREE? If you don’t like it, just cancel or throw your SIM in the trash. But my experience makes me believe you definitely won’t be doing that. Get it and start using it NOW — even the SIM card is FREE!